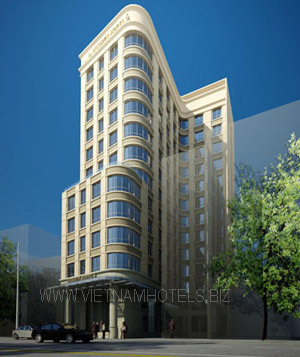 Address:179 Le Thanh Ton Street, District 1, Ho Chi Minh City, Vietnam. A new hotel that locates right at the heart of Saigon's vibrant city (a door step to Ben Thanh market an short stroll to shopping arcade, entertainment and famous landmarks such as City Opera House, Central Post Office, Cathedral, Unification Palace and the Walk (Dong Khoi street). Just 20 minutes to Tan Son Nhat International Airport. Our Deluxe Room features a choice of queen-sized or twin beds. These 24 sqm rooms with renovated room, shower & bath, deluxe bathroom amenities, in-room IDD telephone, free wireless internet access, satellite television, individual in-room air-conditioner. LIO coffee lounge. Taste our freshly baked pastries and brewed coffee with joys. POOL BAR: a cool drink places beside your bench. Indulge your sunbathing by the outdoor swimming pool. Enjoy the skillful therapy treatment that recharges your energy and makes your tiredness faded away.